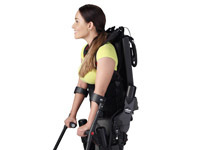 Ekso is a wearable exoskeleton that can augment a person's physical capabilities. 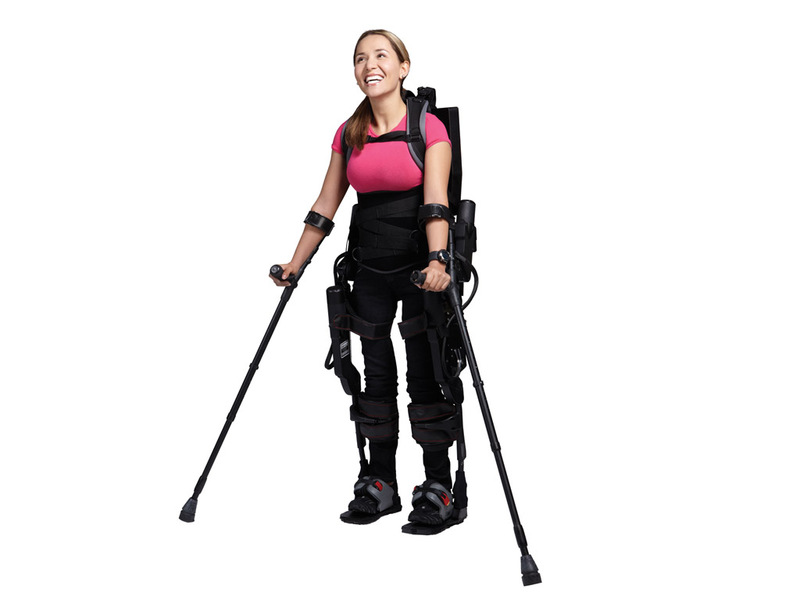 It's currently used to get people with lower-extremity paralysis or weakness standing up and walking. Tamara Mena wears the robot suit Ekso. Tamara getting fitted with her Ekso. She starts off seated . . .
. . . then stands by holding on a walker . . .
. . . and is off walking with the aid of crutches. 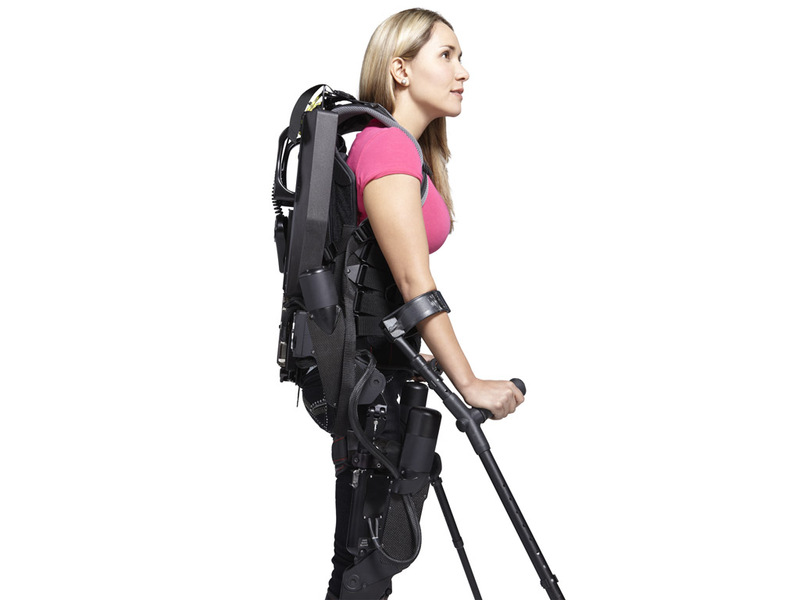 Ekso helps Jason Gieser get back on his feet. 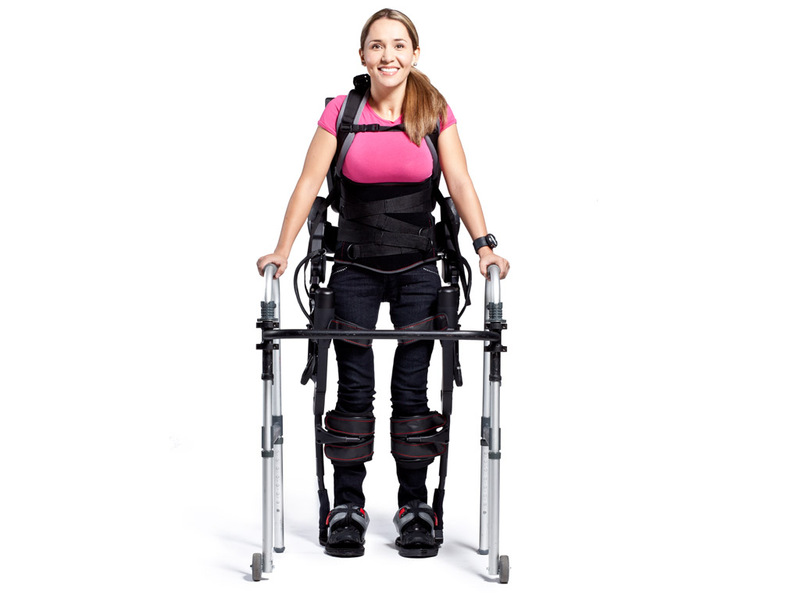 Tamara Mena describes her experience with Ekso. 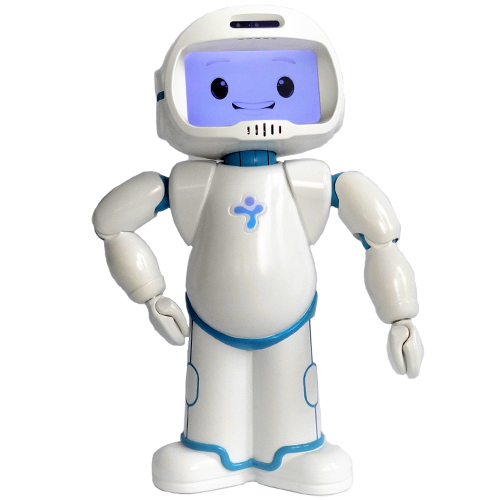 An overview of Ekso and its history. 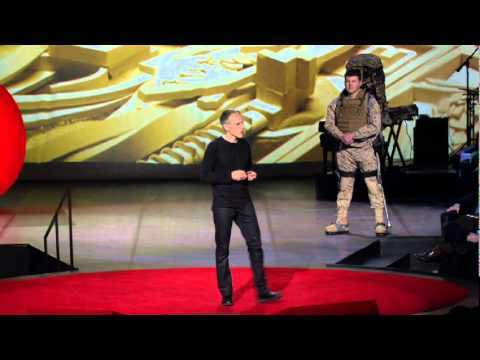 Eythor Bender on exoskeletons at TED. 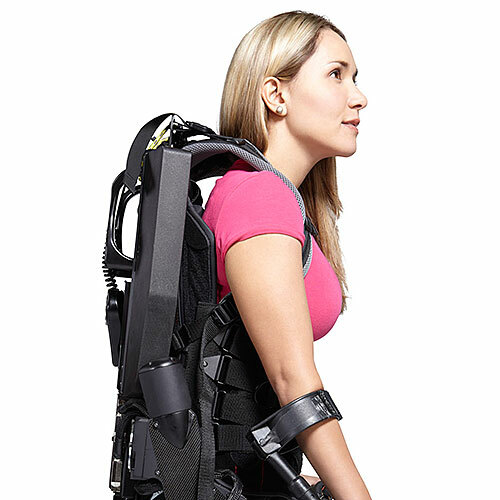 The exoskeleton transfers its load directly to the ground so the user doesn't bear the weight of the device. 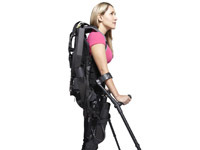 Ekso users have logged more than 100,000 steps (as of early 2012). Capable of adjusting to different body sizes. 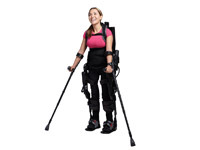 Equipped with a wireless usage monitor and three walking modes for progressive rehabilitation activity. 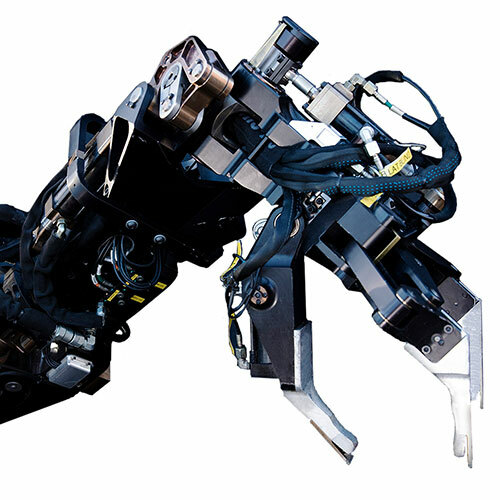 More than 30 sensors to measure position, force, and other variables. Advanced aluminum and composite structure. 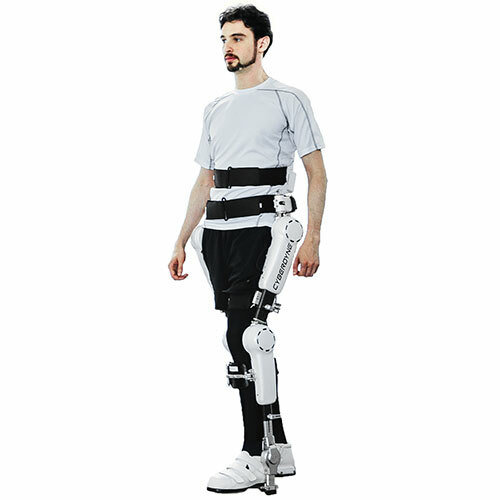 Originally Berkeley Bionics, Ekso Bionics began its evolution in 2005 with the ExoHiker, an exoskeleton that let able-bodied people carry 90 kg (about 200 lb) with minimal exertion. 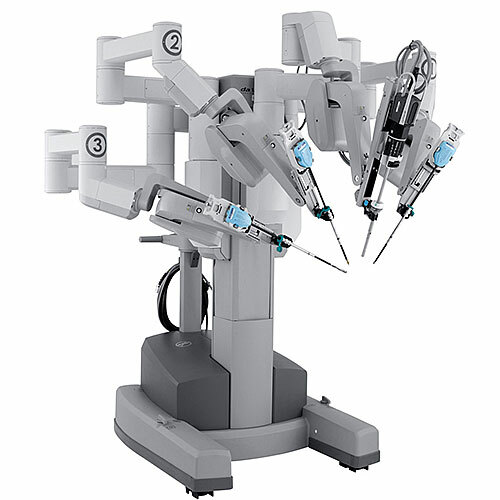 The technology was based on research developed at the University of California, Berkeley. In 2009, the company licensed its load-carrying Human Universal Load Carrier (HULC) system to Lockheed Martin for military development. 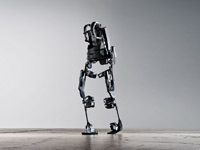 In 2011, Ekso began testing a new version of its robotic suit in rehabilitation clinics in the United States and Europe. 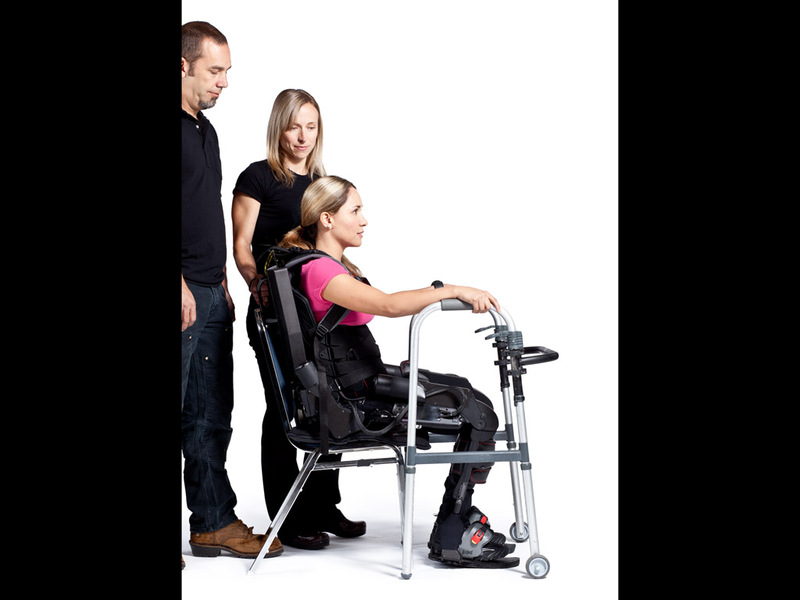 Ekso is now in use at 14 rehabilitation centers around the world. After more trials in clinics and hospitals, the company plans to introduce a model for at-home physical therapy.